The business strategy comes from the acumen of its leadership team and has a bearing on how the culture of the company will shape, how teams perform, how the larger mood of the organization is set and the talent that the company attracts. When Jorgen Vig Knudstorp took over as the CEO of LEGO, things were looking bleak for this well-established, family-owned business. Over the next five years, he turned the company around by working on a new vision, building better relationships with employees and customers, empowering employees to make decisions at all levels of the hierarchy, and, at the same time introducing tight fiscal controls. A company’s leadership strategy, put together by those at the top of the corporate hierarchy, has the power to reshape its future at all levels; more so because it is set in place by keeping an eye on the desired future and in sync with a company’s vision and growth plans. An apt leadership strategy can set ground for a culture of performance, innovation and learning- elements which are stepping stones for building a conducive leadership culture that is put into practice and taken forward by a company’s CEO. What is important to remember is that a leadership strategy has to be linked to the business strategy and it cannot be treated as a separate area. The business strategy can be realized only if it’s in full alignment to the leadership strategy of the company. The business strategy comes from the acumen of its leadership team and has a bearing on how the culture of the company will shape, how teams perform, how the larger mood of the organization is set and the talent that the company attracts. It is a known fact that CEOs immensely gain strength from the set leadership culture that helps them in chalking out their company’s growth plans. Corporate success stories have proven the fact that dynamic companies have reached the pinnacle of growth by following their leadership blueprint, in addition to developing leaders across functions. Does that mean it is a cake walk for any CEO? Certainly not! A CEO is imperative in driving the leadership culture of an organization. It’s the vision that they set at the top and the people they hire play a pivotal role in having a team across levels that are independent and accountable. While every corporate stakeholder unanimously agrees that leadership is important, often debates crop up around the process and nature of leadership. Corporate vision is the foundation of leadership strategy. 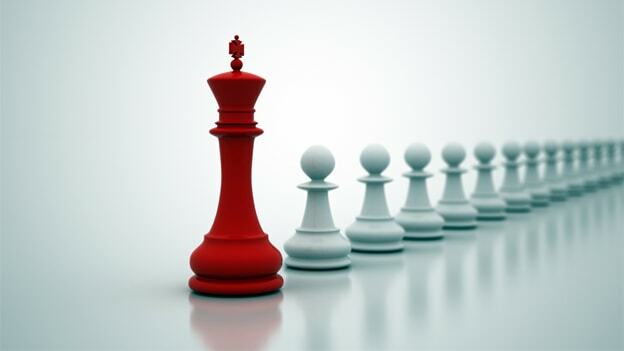 It is the CEOs who play a critical role in developing, articulating and communicating the vision of a strategic leadership to their organization. It is the corporate vision that motivates, pushes and stretches employees beyond their individual expectations. The vision serves as a destination for any organization and therefore acts as a guide for creating a strategy and roadmap for implementing it. The vision articulated by corporate leadership team should outline the core values and ideology that the organization intends to live by. If it is to have any impact, the vision must be communicated and reinforced throughout the organization at regular intervals. Leadership strategy sets the direction for an organization, energizes the creation of innovative strategies and drives the effective implementation of those strategies. Without effective leadership strategy, organizations would lack energy and drive. There has to be absolute clarity on the vision of the company and what it would take to achieve it. The leadership strategy has to be drawn from this as the vision would define the mettle of the leadership team too. The value system of the company plays an important role in defining the leadership strategy as well. The CEO’s role is to continuously ensure that the strategy and value system of the company is intact and the organization’s machinery is working towards enabling growth and focusing on the company’s vision. HR plays an important role and should be considered a sstakeholderin this exercise. There’s also a need to involve external experts to define it and look at it from a neutral perspective. The CEO firstly needs to have the vision to grow the company and have a proper plan towards implementing the growth strategy. The CEO should also be clear on the talent that’s required to realize the vision. The leadership team consists of people who either believe in the CEO or the brand that they work for. It’s the job of the CEO to take their leadership team into confidence and ensure they are all collectively working towards the organization’s vision. The leadership team will also be committed if they look up to the CEO and believe that they stand to benefit. Every function of the company needs to groom leaders within their team to take up larger roles. This is to ensure there’s no dearth of leaders in an organization and there’s a constant focus on leadership development. This ushers good for not just the organization but also for the talent. CEO’s intervention is very important to ensure development is happening in a way through which the company will benefit. There needs to also be a defined process through which there’s a continuous focus on development. In established companies, there’s a dedicated team that looks into leadership development to facilitate interventions such that there’s a road map that’s followed. In today’s scenario, a CEO needs to put a strong mechanism in place to aid leadership development. They to some extent need to spearhead the initiative and find anchors within each team who can work with HR to run it on a program mode. NEXT STORY: Technology and innovation are too important to be left to men alone!